London, New York, Paris, Milan … The very mention of Milan by name evokes modern design, elegance and luxury. 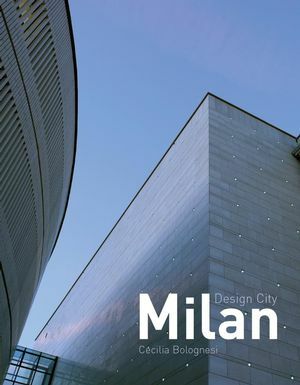 Milan is without a doubt the most influential city in the world in terms of design and it intends to stay that way. The Milanese’s unique flair for combining commerce with a respect for good design has made it a must-do show venue for premier fashion and product designers, as well as the site of the world’s most prestigious furniture fair. With the new millennium Milan has entered one of the most exciting periods of its urban development. Alongside interventions on a large scale, like the stunning new Milan Trade Fair by Massimiliano Fuksas and the Santa Giulia Apartments by Foster and Partners, Milan is also rediscovering its natural talent for interior design in a number of innovative projects. Cecilia Bolognesi is a practising architect, curator and writer based in Monza, Milan. She has curated an international travelling exhibition on the new architecture of Milan, as well as successful exhibitions dedicated to skyscrapers, Carlo Mollino and interior design. She teaches Drawing and Drawing for Interiors at the Politecnico in Milan. Regular contributor to Domus, Cecilia Bolognesi also writes for the international architectural press. Abitare – Via Ventura 5. Triennale: Coffee Design and Fiat Cafè. 11 Store + 11 Club Room. Bombay Sapphire Designer Glass Competition 2006.